If you fail to install MEmu program for some reason, please submit the log file back to us. 1.If you can open MEmu despite of installation failure, you can find the install log path in system info. Click the link and you will be direct to the folder. 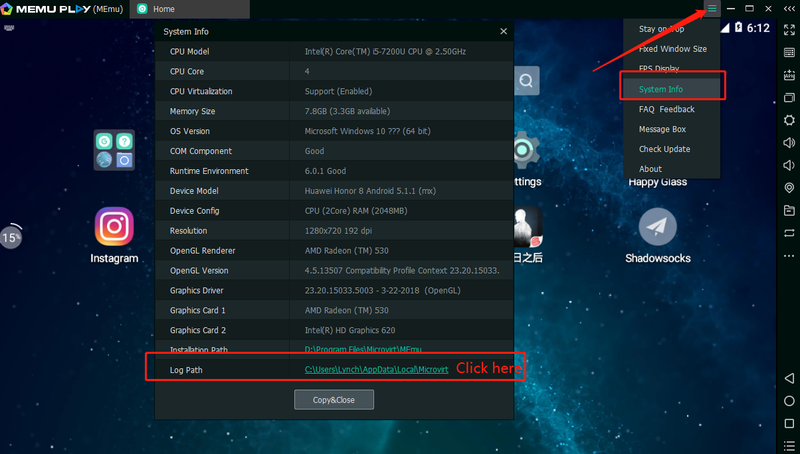 If you cannot open MEmu, here is its path. C:\Users\xxxx\AppData\Local\Microvirt\setup\ “xxxx” is your Windows login name. Btw, the AppData folder is default to be hidden. Please send us information below together so that we can find the problem quicker!